HOME > SETUP AREA > How can I setup my website language options? STEP 1: Go to Setup > Home > LANGUAGES. 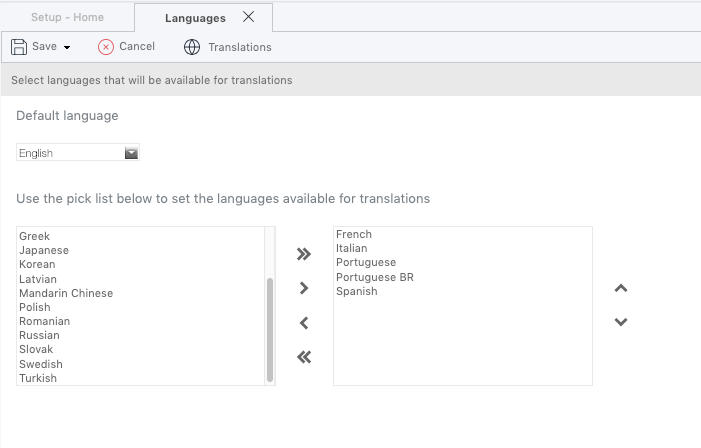 STEP 2: Here the property will find the Default Language of the website, and below, a list of other languages available. STEP 3: Add the languages you wish and click on the button. STEP 4: Do not forget to publish your changes, under WEBSITE tab, by clicking on , so that all this information becomes available at your website. Note: To help you translate your website, please check the following e-card: How can I translate my website to other languages?